Up on the battlements of Edinburgh Castle, Colonel Nikolai Krakov watched, without regret, the last Russian vehicle roar down the esplanade on its way out of the city. It was late afternoon, the warm mid-March sun shone in a clear sky, and he was the only remaining member of Russian personnel in the Castle. Like the captain of a sinking ship, he was staying to the bitter end. Krakov felt tired. He rested his old, weary body against the parapet and gazed out over the sunlit panorama of the city. For the second time in less than a year, a war was raging out there. The thunder of rocket fire and mortar fire and the whining, staccato bursts of machine-gun fire filled the air. Directly across from him, on the blue, sparkling waters of the River Forth, the big guns of large grey American and Canadian warships pounded the fast receding Communist shore defences. Down to his right, the Leith contingency of the Resistance Army, under the cover of a heavy mortar screen, was progressing slowly into the centre of the city. And away to his left, black clouds of smoke billowing high into the sky indicated the fast approach of invasion forces on that front. The enemy was closing in. 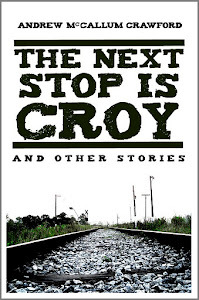 Krakov closed his eyes and ran his fingers through his crop of grey, spiky hair. From an inside pocket of his jacket, he brought out a sealed white envelope, which he proceeded to stare at for some seconds. The envelope contained a ten-page letter addressed to his wife, Olga. She’ll never receive it, Krakov thought despairingly, and I’ll never see her again. Never. He had cold-bloodedly murdered one of his countrymen, and a fellow-officer at that. That the murdered man was scum, vermin, deserving of such a death, was of no consequence. There was no way now that he could return to Russia. He had burned his last bridge. Very slowly, Krakov tore the envelope in two, then in four, then in eight. He watched dolefully as the tiny scraps of paper floated downwards to land on the sharp granite rocks many feet below him. Krakov closed his eyes again. So what was left? The Americans? An old prisoner-of-war facing death in a Nuremberg-style trial for an unknown number of atrocities? No, he couldn’t face that. Back in his office, along with a signed statement confessing his complicity, he had left, for open inspection, every document that had ever been written in the Interrogation Centre. The records of Edinburgh Castle, he hoped, would show, like Buchenwald, Belsen and Dachau in a previous reign of terror, how low and vile a creature man was. If he could be sure of that, then he had salvaged something at least out of all the horror; he had made some small act of restitution for the terrible things his countrymen had done. And the remaining detainees were safe: they could bear witness; he had made sure of that. Krakov smiled wryly. He leaned over the parapet and gazed down at the sharp rocks. He always knew it would come to this. He could never return home. He couldn’t stay. The rocks below looked so inviting. It was the only way, the only escape. At least there was some honour in this, his final act. Like a heavy stone, his body plummeted down – to oblivion and peace of mind at last. Brendan Gisby was born in Edinburgh, Scotland, halfway through the 20th century, and was brought up just along the road in South Queensferry (the Ferry) in the shadow of the world-famous Forth Bridge. He and his long-suffering wife and muse, Alison, presently live in splendid isolation in the wilds of the Trossachs in Scotland. Retiring from a business career in 2007, Brendan has devoted himself to writing. 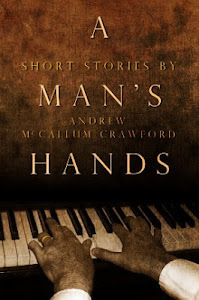 To date, he has published three novels, three biographies and several short story collections. 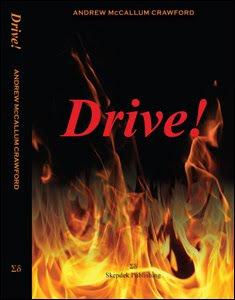 You can find out more about his writing on his website, Blazes Boylan’s Book Bazaar (http://the4bs.weebly.com). 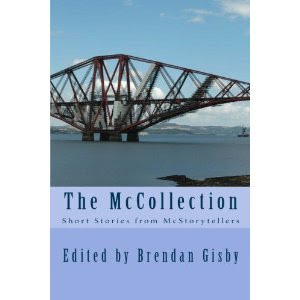 Brendan is also the founder of McStorytellers (http://mcstorytellers.weebly.com), a website which showcases the work of Scottish-connected short story writers.